War makes men do terrible things to their fellow mankind. But through all the horror and sometimes insurmountable odds, courage and bravery shine through. Two gallant young men both in the same B-17 were awarded the Medal of Honor for acts of extreme bravery in the face of certain death. Born on 3 June 1923, Arnett. 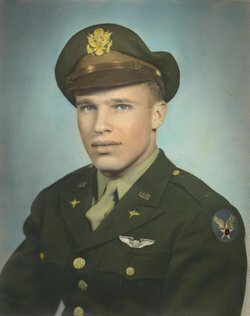 Oklahoma, Donald Joseph Gott, began his airforce career at the local base in 1943. By the end of the first year he had achieved the rank of First Lieutenant in the US Army Air Corps. Posted with the 729th. Bomber Squadron, 452nd Bombardment Group to Deopham Green, Norfolk, England, he was to fly a B-17 (42-97904) ‘Lady Jeannette’ along with his crew and co-pilot William E. Metzger. 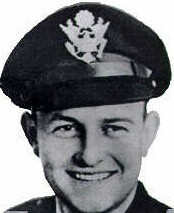 Metzger was born February 9, 1922 – Lima, Ohio and by the time he was 22 he was a 2nd Lieutenant. He was to meet Gott at Deopham Green, Norfolk and together they would fly a number of missions over occupied Europe bombing strategic targets. On the 9th November 1944, they took off with their crew on a mission that would take them into the German heartland to bomb the marshalling yards at Saarbrucken. On this run, the aircraft, was badly hit by flak, three of the engines caught fire and were inoperable, the fires were so fierce that they were reaching the tail of the stricken aircraft. Further fires within the fuselage started when flares were ignited, and this rapidly caught a hold. Hydraulic lines were severed and the liquid from within was jettisoned onto the burning fuselage. With communication lines cut and unable to contact the crew, both Gott and Metzger had some difficult decisions to make. They had not yet reached the target, the aircraft still held its bomb load and they were deep into occupied territory. The crew too had suffered badly at the hands of the anti-aircraft fire. The engineer was wounded in the leg and the radio operators arm was severed below the elbow causing great pain and loss of blood. He would die very quickly if medical help was not found. Despite the quick thinking and application of tourniquet by fellow crew members, he soon passed out and fell unconscious. Gott and Metzger decided that jettisoning the injured radio operator would not result in his receiving medical help and so they would drop the bombs and head for the nearest friendly territory where they could crash-land. Doing this, would risk not only the life of the operator, but that of the crew and themselves should the stricken aircraft explode. Over the target, they released their bombs and flew alone toward allied territory. Flying low over the village of Hattonville, the aircraft was seen to swerve avoiding a church and homes. At this point, Metzger personally crawled through the aircraft and instructed the crew to bail out. Three chutes were seen by local people, two fell to earth and the third became entangled on the stabilizer and was trapped. A further three were seen moments later, all these escaped. Metzger decided to remain with Gott and try to land the aircraft with the radio operator on board. With only one working engine, Gott and Metzger brought the aircraft down through a series of tight turns and at only 100 feet from safety the aircraft banked and exploded. Crashing to earth it again suffered a second explosion and disintegrated killing all three crew members on board and the crew member still attached to the tail. 1st Lieutenant Gott and his co-pilot 2nd Lieutenant Metzger had shown great courage and determination to complete their mission, and to save their crew from certain death. They had shown the greatest of valor in what was to be the final act of their short lives. Both men were killed on that day, November 4th 1944 aged 21 and 22 respectively. They were both posthumously awarded the Medal of Honor on the 16th May 1945. Gott’s remains were returned to the United States and he was buried at the Harmon Cemetery, in Harmon, Ellis County, Oklahoma, USA. Metzger, was returned to his home town and was buried at Woodlawn Cemetery, Lima, Ohio. Along with Gott and Metzger, crew members who did not survive were: T/Sgt Robert A, Dunlap and S/Sgt T.G. Herman B, Krimminger. The survivors were picked up by a a local field hospital and treated for their injuries: 2nd lt John A, Harland ; 2nd lt Joseph F, Harms ; S/Sgt B.T. James O, Fross ; S/Sgt R.W. William R, Robbins and T/Sg T.T. Russell W Gustafson. A memorial now stands close to the site of the crash site.